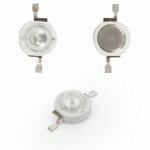 Energy saving and high brightness 1 W LED (cold white, 6000-6500 K, 130 lm, 3.2-3.4 V). Energy saving high quality red 1 W LED (50 lm, 620 nm, 350 mA, 3.2-3.4 V). 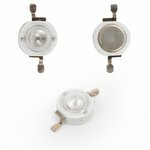 Energy saving and high brightness 1 W LED (natural white, 4000-4500 K, 130 lm, 3.2-3.4 V). PCB with LEDs (type 5730). 7 W, cold white, 840 lm, 50 mm. PCB with LEDs (type 5730). 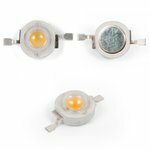 12 W, warm white, 1440 lm, 63 mm. PCB with LEDs (type 5730). 9 W, cold white, 1080 lm, 50 mm. PCB with LEDs (type 5730). 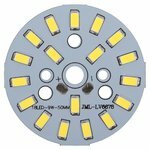 12 W, cold white, 1440 lm, 63 mm. PCB with LEDs (type 5730). 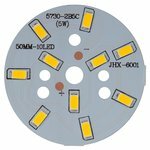 5 W, cold white, 600 lm, 50 mm. PCB with LEDs (type 5730). 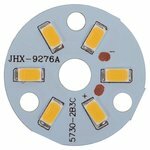 5 W, warm white, 600 lm, 50 mm. 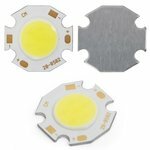 Cold white 5 W COB LED chip with 450 lm luminous flux (300 mA, 15-17 V). 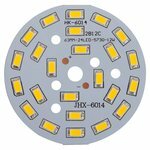 Warm white 10 W COB LED chip with 1050 lm luminous flux (720 mA, 12-14 V). PCB with LEDs (type 5730). 7 W, warm white, 840 lm, 50 mm. 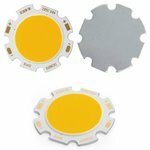 Warm white 5 W COB LED chip with 450 lm luminous flux (300 mA, 15-17 V). 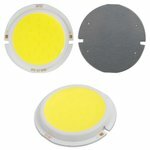 Energy saving and high brightness 1 W LED (warm white, 3000-3500 K, 130 lm, 3.2-3.4 V). PCB with LEDs (type 5730). 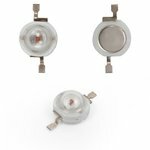 3 W, cold white, 350 lm, 32 mm. Energy saving high quality blue 1 W LED (20 lm, 470 nm, 350 mA, 3.2-3.4 V). 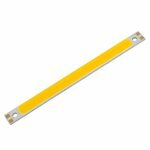 Energy saving high quality yellow 1 W LED (50 lm, 590 nm, 350 mA, 3.2-3.4 V). 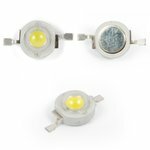 Cold white 7 W COB LED chip with 450 lm luminous flux (300 mA, 15-17 V). PCB with LEDs (type 5730). 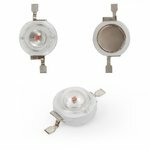 3 W, warm white, 350 lm, 32 mm. 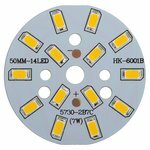 Energy saving high quality green 1 W LED (70 lm, 520 nm, 350 mA, 3.2-3.4 V).